Today the 10th episode of the topic Meet the Person with Sean Gormley. This topic Meet the Person is about passionate people, people in the denim industry with a clear focus, mind-set and initiatives. In Meet the Person I will give you an insight into their life; who are they, what are they doing, what makes them so special, where are they working on, etc. etc. 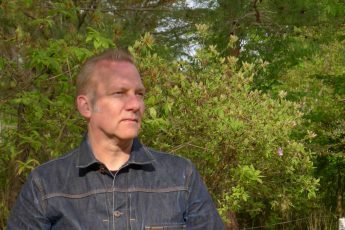 This episode of Meet the Person is with Sean Gormley, Creative Director Wrangler E.M.E.A. Thanks for sharing your great and very inspiring story Sean! Living in village & country: Antwerp, Belgium. Number of Instagram followers: 800 followers. Daily work: Research, design, creative direction. I’m a British fashion designer with a speciallity in denim. I’m currently in the role of Creative Director at Wrangler E.M.E.A. 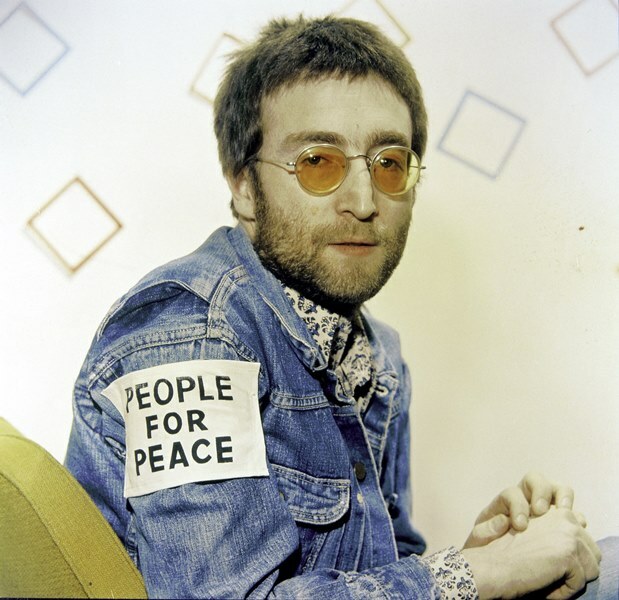 I took a placement year while studying for my BA in fashion, and worked with Fake London Genius which cemented my interest in working with denim. I used lots of denim in my final collection at Central Saint Martins, and went straight into the deep end of the denim industry with a job in Istanbul. Kicking off Spring Preview 2019 collection with the design team at Wrangler Europe. Image of the Wrangler X Peter Max Spring 2018 collection. I’ve been proud of lots during my time at Wrangler, for example previous Blue Bell collections were very satisfying, they had a lot of soul! But really it’s the current revitalisation of the image of the brand, driven by product, our renewed collaboration with Peter Max and a younger and more dynamic product offer in the mainline Wrangler collection. Shots of the Fall Winter 2017 Wrangler X Peter Max collection. Explore more of the Peter Max collection here. I’d sum it up as Nostalgia. 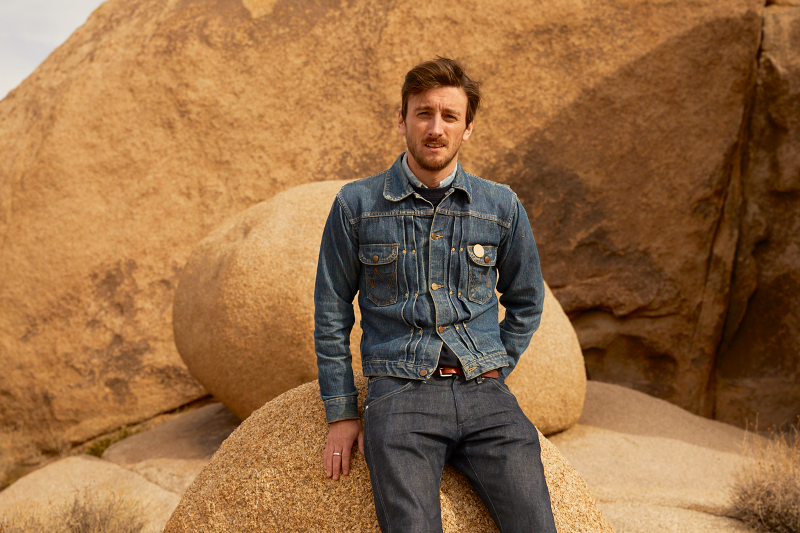 That refers to denim trends of past era’s, and it’s interesting where these overlap and layer with modernity in yarns, fabrics, silhouettes and finishing. Something is coming up concerning new bigger volumes and shapes which I’m keeping a close eye on. First of all Wrangler. Then I appreciate the smaller brands like Amo and R13. Inspiration comes from everywhere for me. Instagram is a big resource these days, I really like that platform. Then galleries, archives, books and magazines and a bit of shopping around. 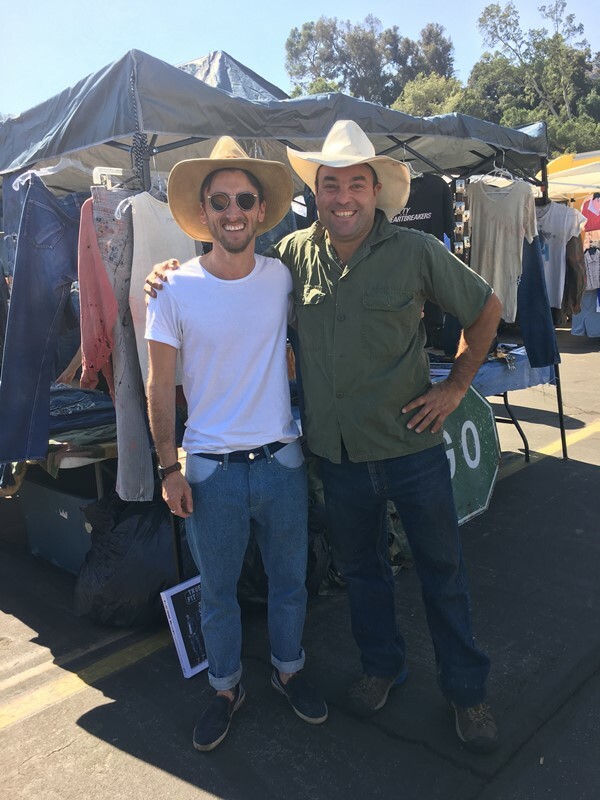 Sean Gormley together with Brit Eaton at Rose Bowl fleamarket in Pasadena, California (US). 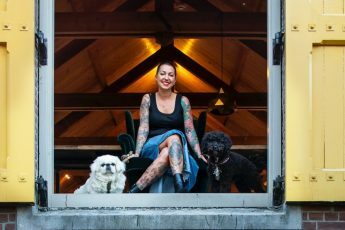 Read the story of Brit Eaton in Meet the Person here. 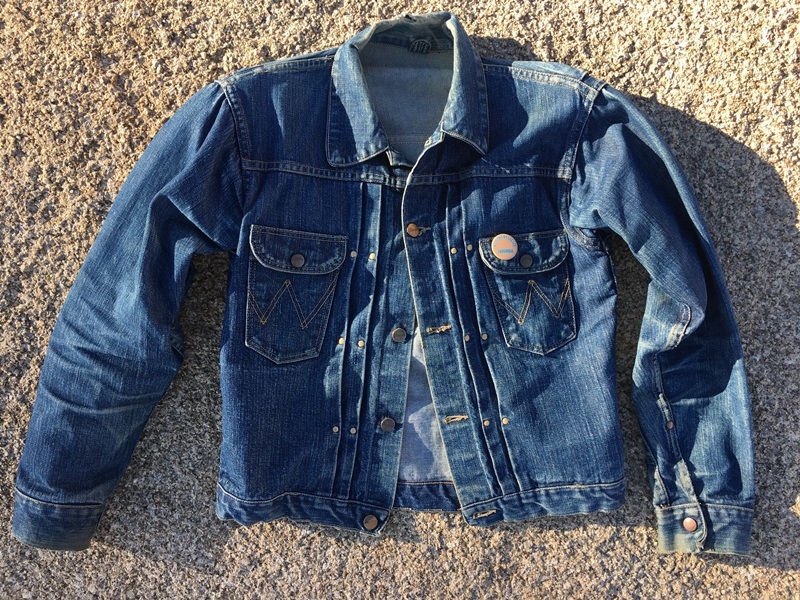 I have a great fitting vintage 11MJ jacket from Wrangler. You can date that jacket to late 1940’s. It’s amazing! I took a deadstock Wrangler 11MWZ from the 1950’s, and just tapered it a little bit because I dont need it to go over the cowboy boot now. That fit was used in the recent Wrangler by Peter Max collections and I’m wearing different versions of that currently. I’d describe it as regular tapered. That’s easy, my wife, Barbara Gay. The best invention is yet to come, that’s indigo without the impact on the environment. 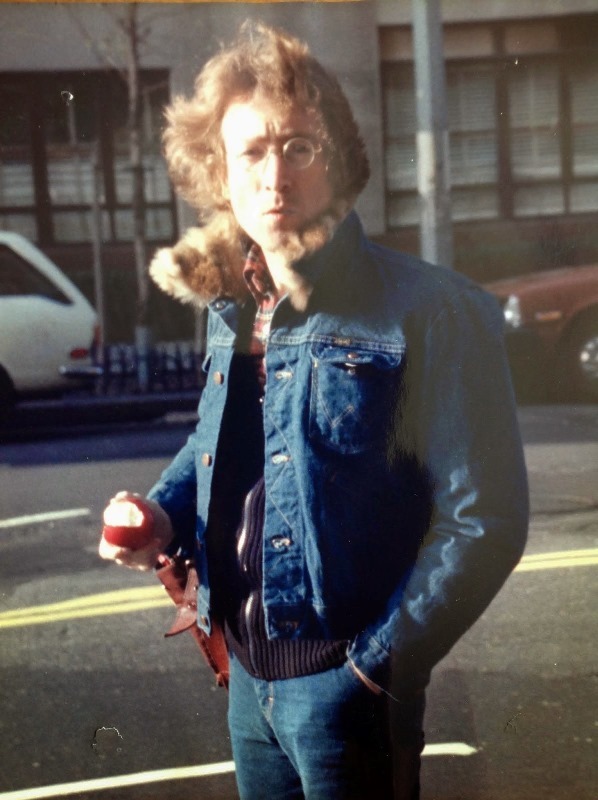 John Lennon, I like the way he wore Wrangler. 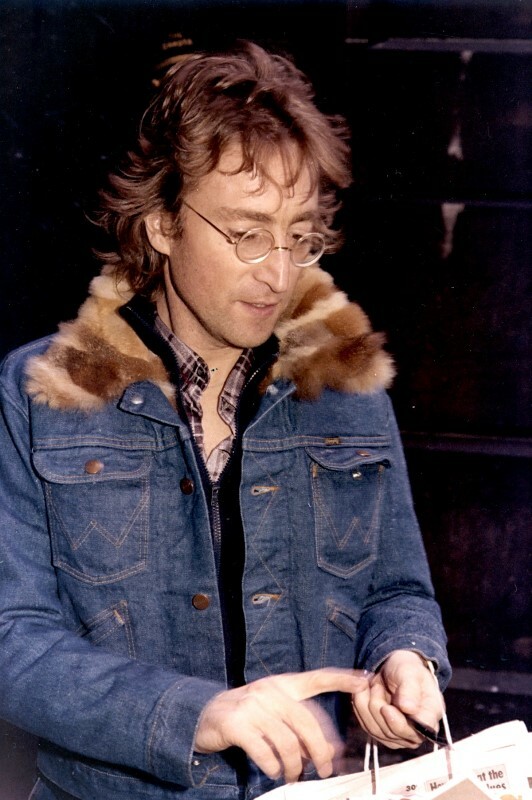 John Lennon wearing Wrangler jackets. ”I don’t make mistakes. I make prophecies which immediately turn out to be wrong” by Murray Walker. Meet the Person #3: Guido Biondi (Roy Roger’s): here. Meet the Person #4: Gerold Brenner (Designer, Trendforecaster): here. Meet the Person #5: Leon Blok (Designer, tailor maker): here. 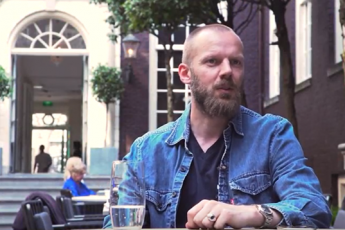 Meet the Person #6: Guido Kerssens (AMFI Amsterdam): here.